Ankle sprains are one of the most common ankle injuries and typically classified under three degrees of severity. 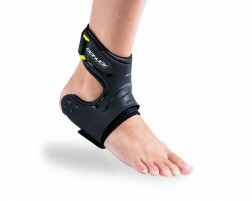 Whether you are suffering from a mild ankle sprain or a severe injury, there are a variety of ankle supports available. Our team of Brace Experts recommend these ankle braces because they are great at preventing and healing ankle sprains and injuries. 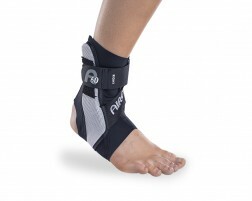 Need help selecting a brace for a sprained ankle? Use our guided tool, Brace Advisor, for recommendations based on your sports/activities and whether you currently have a sprained ankle or are looking for injury prevention. Approximately 25,000 people sprain their ankles every day. Some people suffer from chronic ankle instability where their ankles are constantly sore. 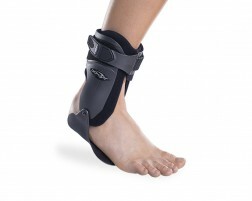 A brace such as the Aircast Air-Stirrup can help treat serious ankle sprains from sports. Most ankle sprains take 4-6 weeks to heal and can make mobility difficult. Whether you are suffering from a mild ankle sprain or a severe injury, there are a variety of ankle supports available. Rest, Ice, Compress, and Elevate to heal quickly. Learn more about how to heal an ankle sprain. Still not sure which ankle brace to get? Contact us or check out our ankle brace buying guide for help.